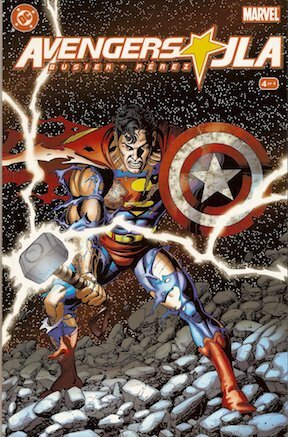 The listener question this time is about the rivalry of Marvel vs. DC; the differences between the two companies, the history of their feuds and collaborations, and other causes for the rift in the fan community. In true 90s fashion, votes for this were either mailed in, or you could vote on an America Online page. Some of these mash-ups made more sense than others, but they were all fun. That cover alone made this worth getting. 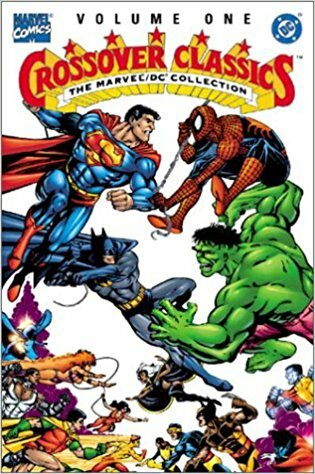 Unfortunately, the trade is out of print, so good luck getting it at a reasonable price.